Well appointed 2005 Park Model tucked away in Old Stagecoach Resort. Bright and airy, full size stainless appliances, 1 bedroom plus the green loveseat in the living room opens up to a bed for additional sleeping, as well as the couch in the air conditioned Florida room. Short walk to clubhouse or bath house. There is also storage area for boats with reservation. Affordable and almost new vacation home. There is also a playground for children. 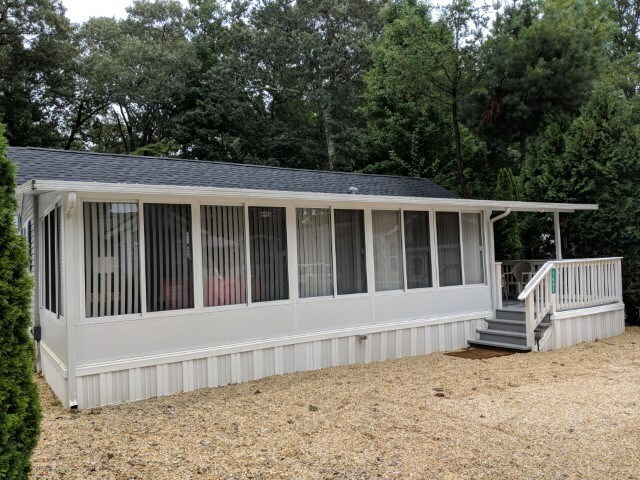 Yearly fee of $870 includes water, septic, common amenities including clubhouse, bath house with laundry facilities and beautiful pool and trash pick up plus you own the land. Within minutes of beaches and shore attractions.